It's looking more and more likely that Hearthstone: Heroes of Warcraft will receive a Blackrock Mountain expansion pack soon. Blizzard has released several clues over the past few days that reinforce this speculation. 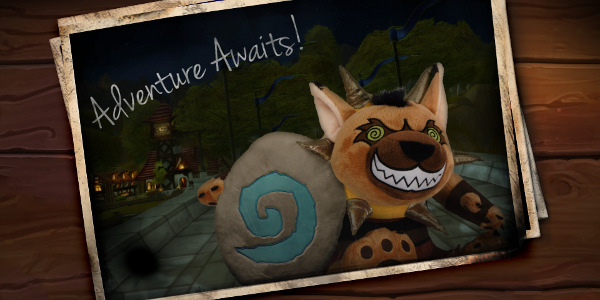 The suspicions about a Blackrock Mountain-themed expansion for Hearthstone started about five days ago. A new patch for the game mentioned card backs inspired by Ragnaros the Firelord and his home Molten Core, located in the depths below Blackrock Mountain. 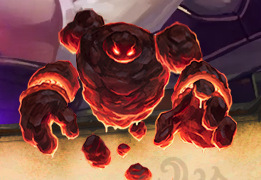 According to the patch, the Molten Core card back will be awarded when Hearthstone players buy "brm," which many players believe is an abbreviation for Blackrock Mountain. The Ragnaros card back, meanwhile, is the award for hitting Rank 20 in March. This seems to indicate that Blizzard will either announce or release Blackrock Mountain this month. They rolled out a Goblins card back when they first revealed the Goblins vs. Gnomes expansion in November and then a Gnomes card back when GvG officially launched the following month. Blizzard's only got about two more days to toy with Hearthstone players. The announcement of this Blackrock Mountain expansion pack will almost certainly happen at their PAX East panel on Friday. The panel, scheduled to run from 10:30AM to 11:30AM Eastern, will show off "upcoming content" from Hearthstone as well as Overwatch and Heroes of the Storm. While the subject of the expansion seems clear, we still don't know the structure. This might be another simple infusion of cards like GvG or a new single-player adventure like Curse of Naxxramas. The latter seems more likely. Blackrock Mountain is the home of several dungeons and raids in WoW so it's an ideal inspiration for a new adventure. If Blizzard wanted to just add more cards to the game, they could've just picked a more general theme (like "Horde vs. Alliance") instead of an actual location.